KIEV, September 2. /TASS/. About 300 criminal cases have been opened in 2015 in Kiev for mobilisation dodging, the city’s police press service reported on Wednesday. "All 287 criminal cases have been opened over offences under articles 335 (draft dodging) and 336 (mobilisation dodging) of the Ukrainian Criminal Code. Six bills of indictment have been referred to court, 114 criminal proceedings have been terminated and investigative activities are underway on the rest," the UNN agency quotes the police. Such crimes are punishable under Ukrainian law by the custodial restraint for a term of up to 3 years under Article 335 and imprisonment for 2 to 5 years under Article 336. The sixth wave of mobilisation launched in Ukraine on June 19 ended on August 17. The General Staff said it was necessary "due to the considerable tension in the east of the country." However, the Defense Ministry later said that the Ukrainian armed forces’ draft plan was only 50% fulfilled. Ukraine’s recruitment campaigns have been accompanied by young men’s mass refusal to serve in the army. Draft dodging, including by fleeing abroad has become massive. Kiev authorities have responded to the population’s refusal to fight in the country’s east by enhancing penalty for mobilisation dodging, including giving real prison terms. As many as 139 people were convicted in Ukraine in 2014 for mobilisation dodging. 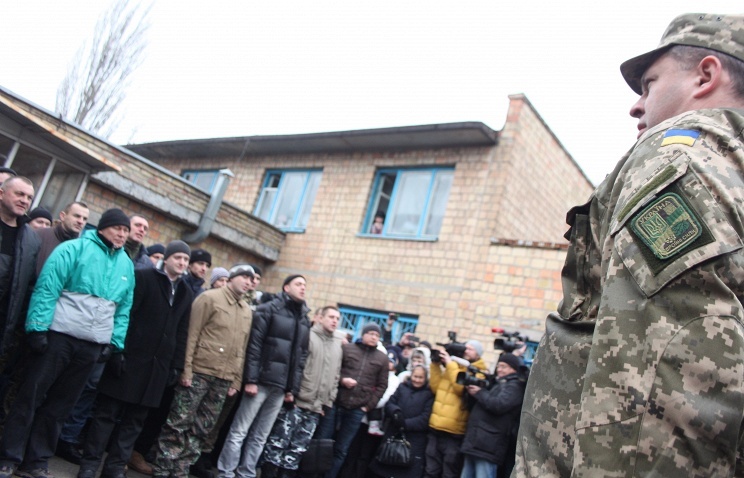 The Ukrainian Defense Ministry previously said three more mobilisation waves were possible. Ukrainian President Petro Poroshenko said later that the issue of a new mobilisation wave, if necessary, will be discussed at a meeting of the Ukrainian National Security and Defence Council.